We have now been operating for less than three months from the magnificently fitted out Institute (RUSI) library reading room in the Centenary Extension of the Anzac Memorial. And in this short period of time, we are seeing the benefits of having a permanent home in a prestigious building in the centre of Sydney that is accessible to our members and to the public. We have had visits from the Commander 6th Brigade, RSM-Army, Board member from RUSI Victoria as well as a large number of overseas visitors and members of the public. All visitors seem most impressed with the library. I had the pleasure of recently showing the library and the Anzac Memorial to Mrs Susan Kehoe who has donated her late husband’s extensive military book collection to the Institute. Our membership is growing and we have received donations of books and military memorabilia from members of the public. To date, we have conducted one seminar and two lunchtime lectures in the Auditorium of the Centenary Extension of the Anzac Memorial. Feedback from our members has been very positive – easy to access and good acoustics. We have also started a major book restoration project. No matter how much care is taken when moving the library - and over the last 130 years, we have had quite a few of moves - some of the older books have been damaged. We are looking at extending our hours of operation to four days a week - Monday to Thursday - but we need volunteers to show people around the library. If you can commit a half day or full day once per week, please let us know by contacting us on 8262 2922 . Major General Kathryn Jan Campbell CSC, Sutton, NSW, for distinguished service to public administration through senior roles with government departments, and to the Australian Army Reserve – Major General Campbell became a vice-patron of the Institute on her appointment as Commander 2nd Division in December 2018. Major General Stephen Hugh Porter AM, QLD, for distinguished service to the Australian Army and transformation of the Army Reserve through his significant contributions as Commander 2nd Division – Major General Porter was a vice-patron of the Institute during his term as Commander 2nd Division. Colonel John Sutherland HAYNES OAM (Ret'd), Randwick, NSW, for significant service to veterans, particularly through the National Boer War Memorial Association. Lynette Silver OAM, Wahroonga, NSW, for significant service to the community through historical battlefield tours and commemorative services. Lieutenant Colonel David Jonathan Deasey RFD (Ret'd), Mortdale, NSW, for service to community history. Lieutenant Colonel John Howells RFD (Ret'd), NSW, for service to community history. 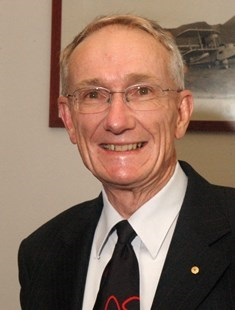 Craig Antony Laffin, Richmond, NSW, for service to the community. Lieutenant Colonel Antony William Larnach-Jones (Ret'd), Mosman, NSW, for service to community history.